Body slimming is a year-round concern and sought after treatment in the industry. You don't need to be a spa to offer a quality, cost-effective and profit-boosting slimming service to your clients. You also don't need to have a special room, treatment table or give up valuable space to get started. With something as simple to use as the Handheld 3-in-1 Slimming & Shaping Device by SCF, you can start as soon as you receive your package! 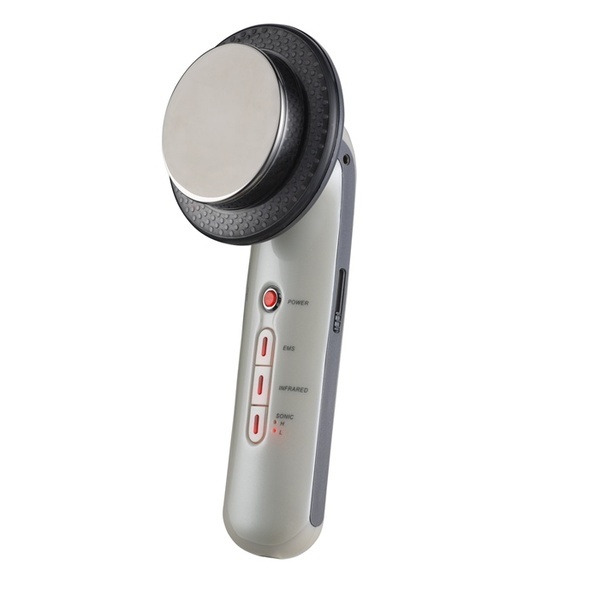 This Thermal Sculpting EMS Fitness Instrument features three-non-surgical treatments - ultrasound, far infrared ray, and microcurrent - to help sculpt the body, trim excess fat and smooth cellulite. Offer it as an add-on service, an individual or package series, add it to your VIP packages or even retail it! Looking for an easy add on to your facial services? Do your clients have or mention crows feet as a concern? Have you thought about incorporating microneedling? 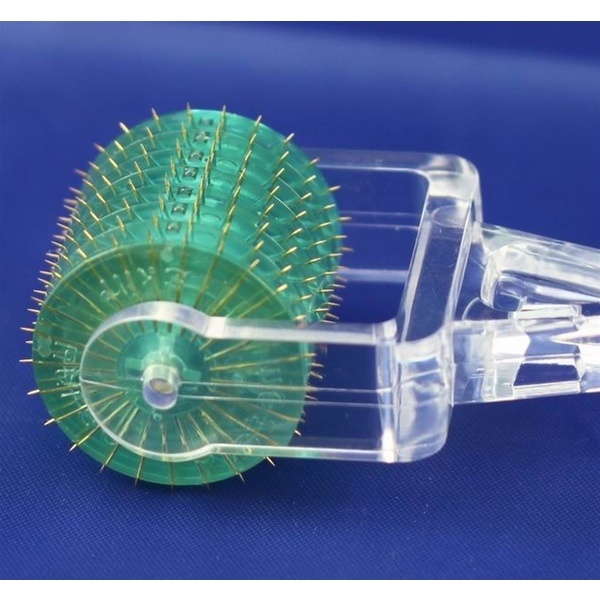 The Micro Needle Roller Therapy System is an amazing handheld skin roller which can naturally increase the skin’s level of collagen and elastin. The steel micro-points release toxins from the skin but also allow vastly improved penetration of active ingredients (such as vitamins A & C) in treatment products. The Micro Needle creates thousands of microscopic needle marks inducing your own body's collagen to grow. These microscopic needle marks close after several minutes, locking in skin-building nutrients, supporting collagen and elastin repair. It assists in the fading the appearance of wrinkles and age spots, improving the skin's beauty, tone, and youthful appearance. Clients report results after just one treatment!! Cellulite is one of the main concerns for many people of many ages. Men and women alike can feel insecure about areas of cellulite that they can see. Key words: that they can see. We are not able to easily get an up close look at every inch of our body, or that is just me showing my age? Having a tool to detect and classify thermal signs of cellulite can result in an increase in slimming services! 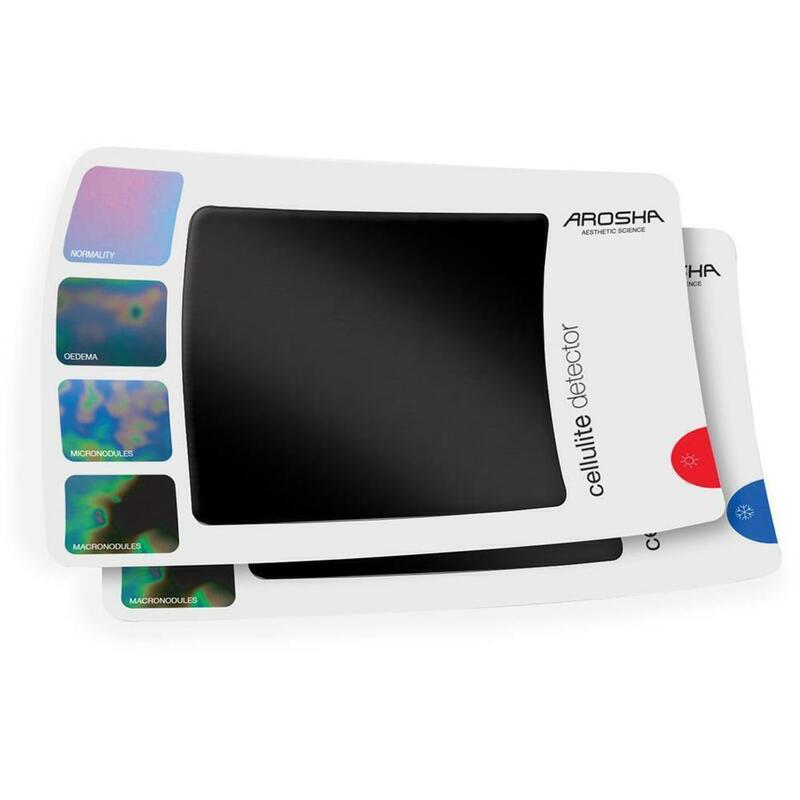 The Arosha® Cellulite Detector Thermography Kit helps to localize body areas which require greater attention and show clients where their cellulite forms. By using innovative contact thermography system, clients can see areas they may never known have cellulite. Incredibly easy to use, simply place on the area to be observed and make it adhere perfectly. Wait for the colors to stabilize in a firm image, and proceed with interpretation as indicated in the manual and product presentation. Money With Milk And Honey! September is National Honey Month! That makes now the perfect time to start thinking about and bringing in products to cash in (literally!) on treatments that focus on honey. Here is a great body treatment that generally sells for $100-125 and costs you less than $5.00 per treatment - my type of math! Milk & Honey Body Treatment - this is excellent for moisturizing dehydrated skin, stress relief, calming of the skin and more! In a rubber mixing bowl, combine 2 tablespoons of honey powder with 1 tablespoon of coconut powder and mix well. Add in 2 drops each of chamomile essential oil and jasmine essential oil. Mix well and place the bowl in a mud warmer, hot towel cabinet or stainless steel bowl filled with hot water. Apply the scrub as you normally perform your body treatments. After the scrub and soak, finish off with this moisturizer to lock in all of the wonderful moisture! Mix 2 teaspoons of wheatgerm oil with 2 drops of chamomile essential oil. Massage the oil into the skin and wipe off any excess oil to finish. You can create full body packages centered around honey as well! You can use things like Cuccio Naturale Lyte Ultra-Sheer Body Butter - Honey & Soy Milk in nail services and massage! Don't forget to offer teas, honey and snacks! Get Slim - Lose Cellulite With these Wraps! Wow - these wraps were hot last week! Maybe everyone wants tighter skin to look thin for the Summer?! I should buy these now for when I get old... why? I have no idea... I'm just a shipping guy! See our great Slimming Cellulite Body Wrap HERE! 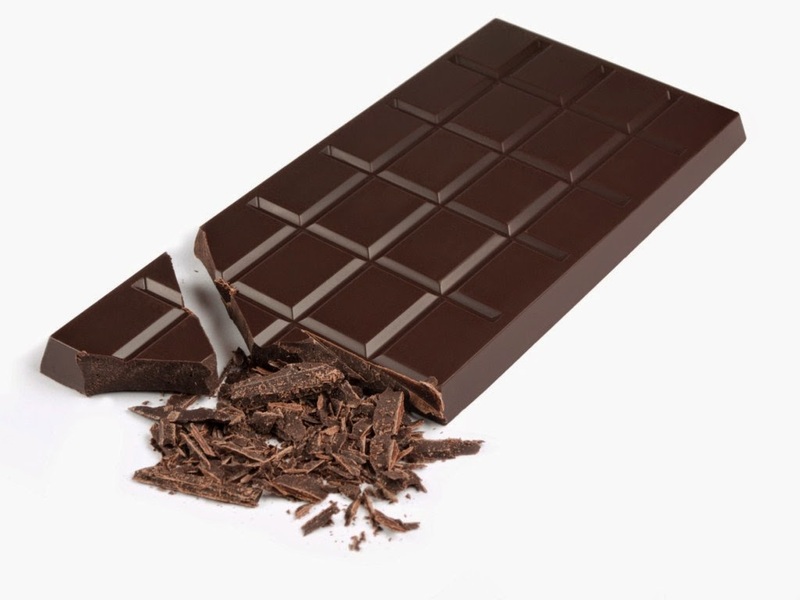 Hydrating, Cellulite-Busting Chocolate Body Treat! Are you noticing more and more clients coming in these days with dry or dehydrated skin? All the fun beach trips, yard work and other outdoor summer activities are taking a toll on their skin. Between the sun, sweat, products and general dirt, the skin needs some detoxing and hydrating! Here is a great recipe for a chocolate body treatment that not only hydrates the skin, but also may help reduce the appearance of cellulite! It's a great idea to have the scrub and mousse prepared shortly before the client arrives to save time and get them warm so it's extra luxurious! In a large mixing bowl, combine dead sea salt and chocolate mint oil (you can use any chocolate oil you prefer!) so they are blended well. Place the mixing bowl into a bowl of warm water to warm the scrub. In large mixing bowl, combine white clay powder with aloe vera gel and blend well. Add in cocoa powder and water, and mix until there are no clumps. If the mousse seems dry, add water slowly until it's a thin smooth mixture you can easily apply to the body. Place the mixing bowl into a bowl of warm water to warm the mousse. Start off by dry brushing the client's skin to increase circulation and prepare the skin for the treatment. After dry brushing, apply the chocolate body scrub to the client's entire body as you normally would apply a scrub. If you don't yet have a wet room with a vichy shower, gently remove the scrub with warm towels or have the client shower if you have on available. Next, apply the chocolate body mousse in a thin later to the client's skin as you would any other body wrap. Once the client's skin is covered with the mousse, wrap with plastic wrap and cover with a thermal blanket. Leave the client wrapped for about 15-20 minutes to allow the mousse to absorb into the skin. Now is a great time for any add on services like a scalp or facial massage! Remove the blanket, plastic and remove the chocolate mousse as you normally remove body wraps. Allow the client to shower if you have the ability, or dry brush the skin and remove the mousse with warm towels. You can finish with a massage (add on profit!) or simply by applying Caribbean Smoothie Hydrating + Anti-Aging Body Cream by Extended Vacation to the entire body to lock in all that lovely hydration! Boost the chocolate indulgence by offering little chocolate treats or having chocolate infused drinks on hand to offer the client!